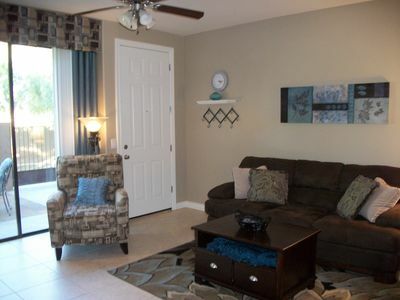 Enjoy the feeling of resort living in this quiet gated community. 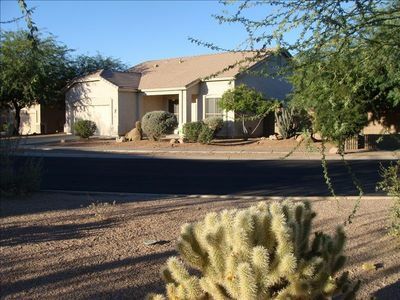 Our house is situated against Boulder Mountain and alongside the Usery Mountain Regional Park in the desert uplands of Mesa, Arizona. Corner lot with grass yard and separate pool area. Come and enjoy breathtaking desert vistas, pristine air, exciting wildlife and a wide variety of desert plants. To the east enjoy the grandeur of the Superstition Mountains. To the south you can see the lights of the southeast valley and to the far west, Phoenix and Camelback Mountain. Wonderful home with everything located on one level. The Master suite has a king size bed with an HD TV. Right off the master suite is a full size bathroom and huge walk-in closet. Go out to the patio through the master suite door. 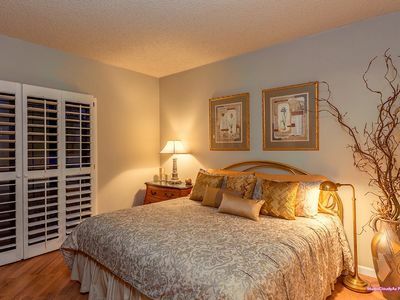 Two bedrooms with queen size beds and flat screen TV's located on either side of the second bathroom. The fourth bedroom is small with a day bed and the computer desk. 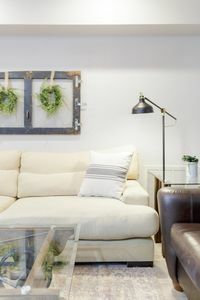 As you enter through the front door, you walk into the front room and formal dining area that can seat up to 8 people. Continue through the arched hallway into a large comfortable great room area with TV and sitting area adjacent to the kitchen. Exit from the kitchen to the beautifully landscaped grassy backyard and patio area. Off towards the mountain is the fenced in private play pool area. The laundry room has a large front load washer and dryer. Attached garage for parking along with 2 bicycles that guests are welcome to use. Please note that the HOA does not permit street parking. Your vehicle must fit into the garage or driveway. (Most cars and pick-up trucks fit.) No large truck, trailer or RV parking. 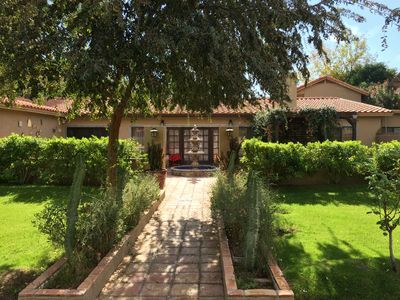 Just off the highway 202 Loop less than a half hour from the Sky Harbor International Airport and 20 minutes from the Mesa Airport. 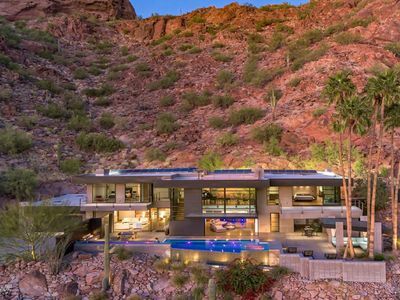 Downtown Phoenix and Scottsdale are less than 30 minutes away. Beautiful Saquaro Lake is only 20 minutes away through beautiful desert landscape. They offer a boat launch, restaurant and picnic areas. 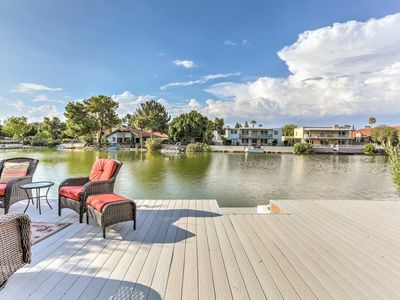 Rent a boat or take a cruise on their tour boat at the marina, Drive to Phoenix for museums or shopping or lay by the pool and enjoy the quiet and beauty of the desert. 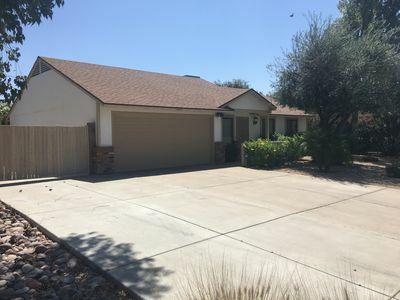 Very large yard with fenced in pebble tech swimming pool, backyard patio with gas grill and furniture. Furnished 4 bedroom home with sitting room, dining area, fully stocked kitchen, family room with HD TV. All you need is your toothbrush! 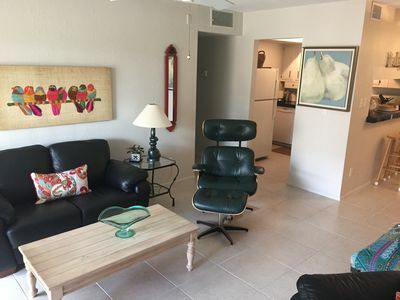 Gilbert Vacation Condo! 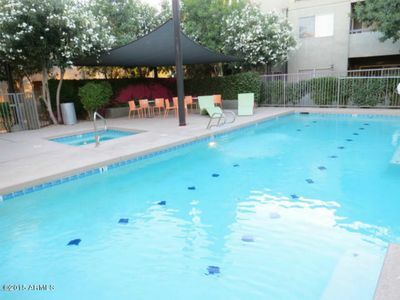 Heated Pool, Hot Tub And Walking Distance To Downtown! LOCATION!! LOCATION!!! Walk To Old Town Scottsdale! !